Try to fill the grid with the given shapes. Click on a shape to 'LIFT' it and use the right mouse button to rotate the shape if required. 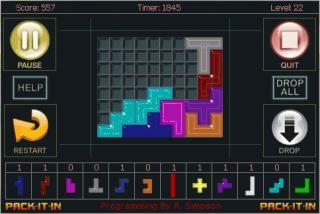 Level ends when grid is full or when timer reaches zero. 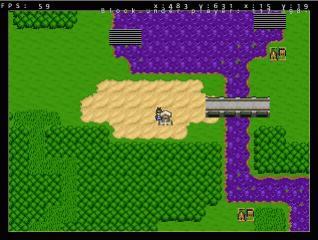 There are 42 levels to complete and game stats are saved at the end of each level. 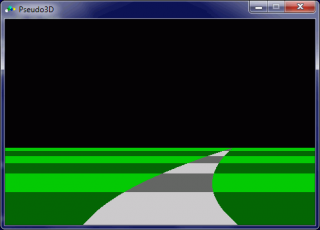 A Blockout Clone (Tetris 3D). 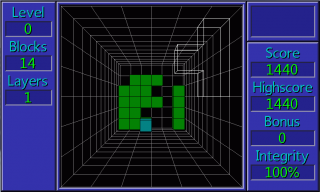 Controls are Q, W, E, A, S, D und Shift. Asobitech 1UP #09 - 09/Mar/12. 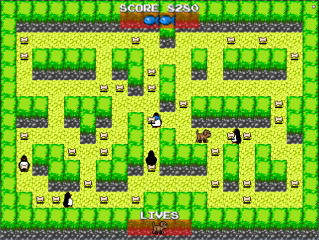 Collect all the bones in the maze, but watch out for the mean penguins that want to throw you. Use fish to distract them. Mac OSX version available website. 52 games in 1 year, a new game every Sunday (approx). Asobitech 1UP #08 - 29/Feb/12. 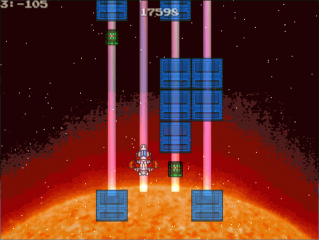 Ride the light beams to escape the star, watch out for crates that will push you back. Mac OSX version available website. 52 games in 1 year, a new game every Sunday. Asobitech 1UP #07 - 19/Feb/12. Type the letters in the bubbles to pop them, don't miss out any. 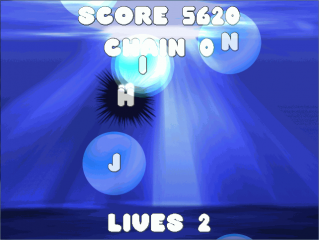 Careful not to type the letters in the urchins. Mac OSX version available website. 52 games in 1 year, a new game every Sunday. I first seen this game concept in 1981 on my Commodore Pet (Text only) and again years later with added graphics on my Amiga. 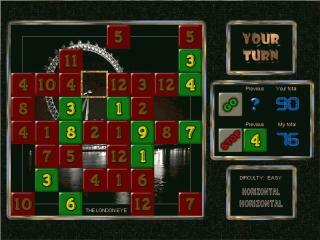 So take in some of the London sights as you take on your computer in this tactical little brainteaser. Single player, PC only. As this is my first completed GLBasic game, some constructive feedback would be appreciated. 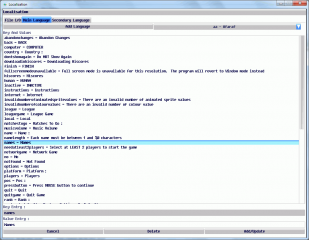 This program is designed to enable easier language translation of text associated with a key. 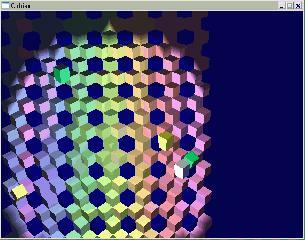 A very simple but nice looking demo of some cubes going downstairs. Runner ist ein kleines Geschicklichkeitsspiel. Sammel alle Bomben in der vorgegeben Zeit ein und finde die versteckten Bonusteile. Viel Spaß! Runner is a small game of skill. Collect all the bombs in the given time and find the hidden bonus parts. Have fun!